Not sure what you were expecting, but ​Maroon 5/Travis Scott/Big Boi showed up, sang a bunch of songs from 2003-2006, and slowed the world to a crawl. And, of course, their efforts were complemented by a full drum line! A drum line of...all white people? In Atlanta? Cool image for the league. ​​This has really made us reevaluate our world view, honestly. ​​If this is what football is now, do we really want more football? Not even the men on stage managed to stay on stage. ​Spongebob was all over this halftime on Twitter (and deservedly so). Squidward's five-second cameo, before he turned into Travis Scott in a fireball, wasn't nearly enough. ​​Would've probably been better if we'd just flashed it back to a few years ago. ​​We miss this dude, for real. When you put it to a vote, it's not really close. Who did the #Superbowl⁠ ⁠ Halftime better? 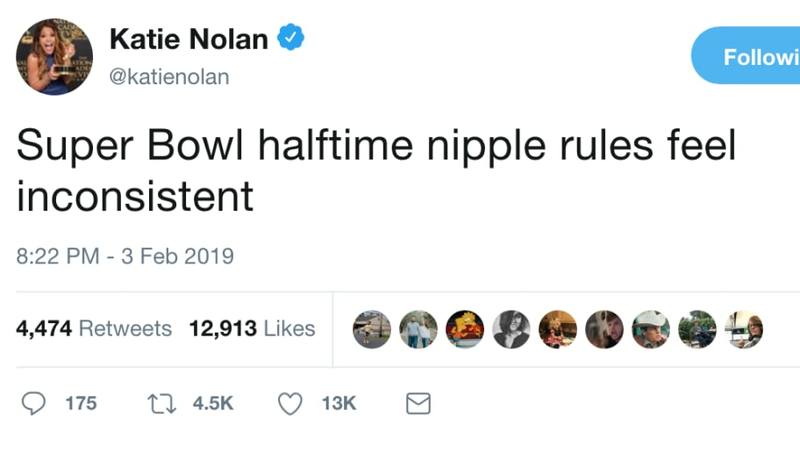 ​​When Adam Levine ripped his shirt off, significant NFL violations were brought to light. We will not be silent! JUSTICE FOR JANET JACKSON! Basically, the main problem with the halftime show was the fact that the whole world could hear it. Major flaw in the system, tbh.